Bangkok meetings in the best location! Whether it’s for a change of pace away from the familiar corporate office, or a the need for a special place to welcome important guests or external partners, it’s no surprise that many key companies are looking for the perfect location for Bangkok meetings. 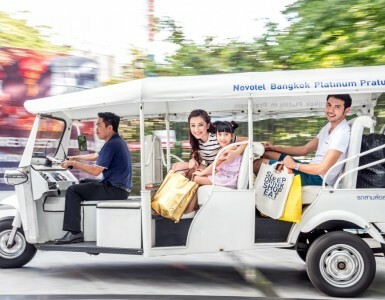 With Thailand renowned as a hub for ASEAN and the AEC, and Bangkok itself a key Asian capital, the timing is right to set your sights on the accommodation and meeting facilities ready at Novotel Bangkok Platinum Pratunam! The 5 multi-purpose meeting rooms at Novotel Bangkok Platinum Pratunam located on the 7th floor of the hotel, stand out with their flexibility. The largest ballroom can host up to 320 guests and boasts floor to ceiling windows on one side that let in ample natural light during the day or the unmistakable ambiance of Bangkok at night. 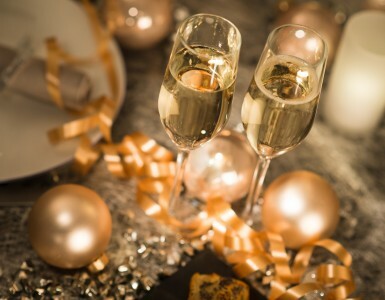 Our dedicated events and meeting team is on hand to turn any gathering into a success. Don’t forget the culinary delights that can be savored at The Square Restaurant, where you can enjoy delicious international buffet lunch in a welcoming atmosphere as part of our meeting and conference packages. And after the day’s meetings have ended, a variety of shopping and entertainment options are ready to be explored! 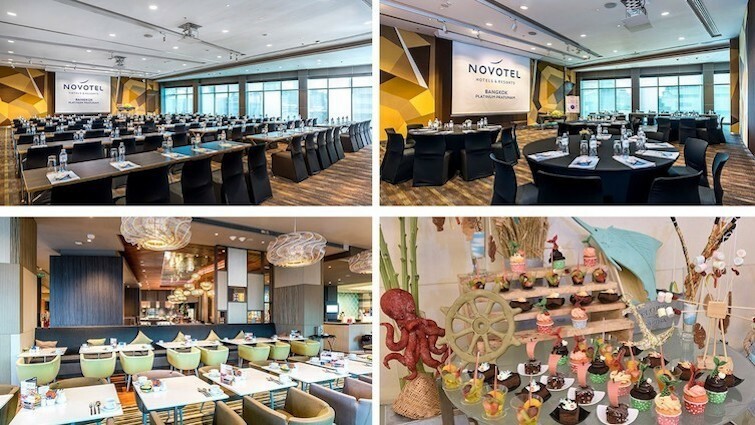 Well-situated and with experienced, caring staff on hand to make your event one to remember, it’s no surprise that Novotel Bangkok Platinum Pratunam is the place to be if you’re looking for a place to have a meeting in a Bangkok hotel.